Tesla continues to invest heavily to realize its new distributed, clean energy vision, the centerpieces of which are its mammoth lithium-ion battery (LiB) and solar photovoltaic (PV) “gigafactories” outside Reno, Nev. and Buffalo, NY, respectively. That includes new building permits issued over the last three months that include plans to build a Microgrid Lab, according to official documentation sent to Electrek by BuildZoom. 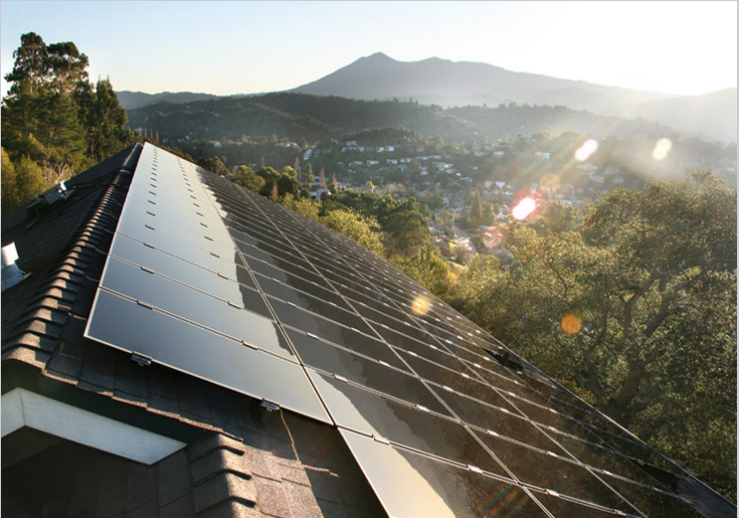 Combining SolarCity’s photovoltaic (PV) energy generation and Tesla’s stationary LiB solutions into renewable and hybrid microgrids and grid-connected or off-grid solar-plus-storage systems are core aspects of management’s strategic plan and pillars of a new digital, distributed and emissions-free energy infrastructure that can serve as the foundation for sustainable economies and societies. Islands, along with installations for remote and/or off-grid communities, towns, municpalities and agricultural, commercial, industrial and campus installations – typically backed with some form of government support or sponsorship – are serving as key, critical proving grounds. “Now it looks like Tesla will have a lab dedicated to microgrids, which allow the deployment of solar and energy storage without access to a larger grid, directly inside Gigafactory 1. 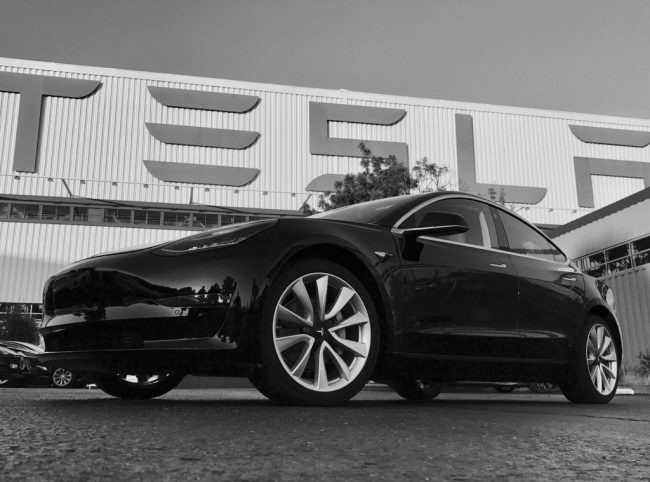 Tesla’s Gigafactory: What’s at Stake? 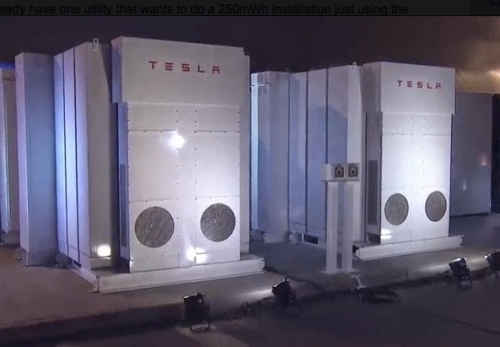 Tesla still needs to ramp up production capacity if it is to meet its 2018 target of manufacturing 35 gigawatt-hours (GWh) worth of residential Powerpack, commercial/industiral Powerwall and Tesla electric vehicle (EV) LiBs. That includes producing a sufficient number to meet demand for the Tesla Model 3. Due to launch tomorrow (Friday, July 28) with a promised price tag of $35,000, Tesla as of early July reportedly had received some 400,000 pre-orders for its vision of “Everyman’s,” or “Everywoman’s,” plug-in electric automobile. No doubt, Tesla and the company’s investors and business partners have a lot at stake in the Gigafactories. Whether or not they succeed or fail financially is bound to have profound, broad-based repercussions, but the forward march taking us away from fossil-fuel towards electric vehicles will continue regardless, Aarian Marshall writes in a July 27 article for Wired. Government policy continues to be the critical factor when it comes to spurring demand for EVs, Marshall continues. EV demand continues to lag optimistic expectations in the US. That said, it’s soaring in China, which now accounts for half worldwide sales, though demand is largely being driven by the government’s push to improve air quality, reduce pollution and add momentum to internal economic growth. As Marshall points out: “There are aggressive emissions regulations in China and Europe. Countries like France, the UK, Norway, India, Germany, and the Netherlands, which plan to ban gasoline and diesel engines by 2040 — or sooner. So it doesn’t matter if Tesla’s newest car misses production goals or has quality hiccups. The tech looks to be on track eventual dominance anyway,” he asserts. Marshall’s evaluation of Tesla with regard to the rise of EVs also appears valid when it comes to distributed solar energy. Akin to policy developments related to EVs, government policy has been playing a critical role in keeping the solar energy train rolling, so to speak. Of late, such initiatives have come to zoom in on building-integrated solar PV. South Miami this past Tuesday became the first city in Florida to require solar PV systems be installed in all new homes and some renovations. Culver City, California enacted solar PV systems be installed on all new commercial and multi-family residentail buildings way back in March 2008. Lancaster, Calif. was the first US city to institute a solar energy new home mandate back in 2013. Sebastapol, Calif. followed shortly thereafter, requirng solar energy systems be installed on all new residential and commecrcial buildings. San Francisco was the first major US city to do similalry, enacting its own version in April 2016, as did Santa Monica around the same time. Just as government policy is driving demand for and investment in EVs, the primary agent of change underlying solar energy building mandates can be traced to a revision to California’s Title 24 building energy efficiency standards that went into effect on January 1. The new version of Title 24 requires all California homes and building be “net zero” in terms of energy consumption by 203o. That was big, encouraging news, and a boon, to Tesla and the entire US solar industry. Tesla, now with SolarCity in the fold, has been and continues to be a leading agent of change in distributed solar energy just as it has been and is when it comes to EVs and advancced LiB tech development and deployment. And just as Tesla may succeed or fail to realize its goals when it comes to EVs and LiBs, growth in the deployment of distributed solar PV and solar-storage microgrid capacity is being “baked in” to our shared energy future.